Johnson Mediation is located in Chanhassen, Minnesota so we are conveniently located for many communities in Minnesota. Our staff has helped many divorcing couples resolve a great number of conflicts. 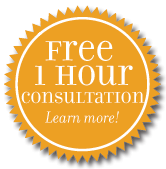 We are trained in the skills associated with mediation and also knowledgeable about Minnesota divorce law. The traditional approach to divorce via the court system is becoming less appealing to many people. Going through the court system tends to be more expensive than mediation. It takes months (or longer) to find resolution and can amplify the conflict that already exists, leading to even more conflict. Mediation is a highly effective alternative to the traditional approach and Johnson Mediation focuses on finding the best possible outcome for divorcing couples and their families. Our team is equipped to help you finalize your divorce, but Johnson Mediation does so much less expensively and with the best interests of all parties in mind. Our mediators help divorcing couples approach the end of their marriages in a collaborative way. Mediation seeks to help couples end their relationships as amicably as possible. Such an approach encourages to reduce, if not eliminate, the conflict that exists between them. When children are involved, reducing conflict allows everyone affected by the divorce to move on in a healthier and more productive way. The stress that accompanies divorce may cause you to believe that your situation is too complicated for our mediation process. But we believe that we can help you, however complicated your situation may be. The nature of mediation allows us to work more closely with you, which in turn allows us to untangle the complications that characterize your divorce. Call us at 952-401-7599 to learn more about our divorce mediation services and schedule a time for a consultation. We will focus on you, your family and your future and help you navigate this difficult time.